Vincent Callebaut Architectures, known for green projects that combine smart building with advanced renewable energy solutions, has officially unveiled Arboricole – a new “biophilic” building that brings agriculture to the urban landscape. 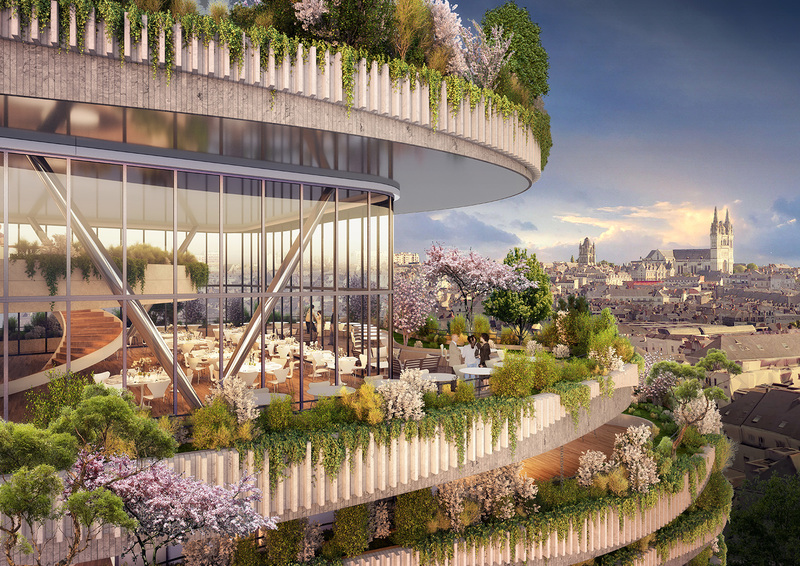 Residents of the building can grow food on their own terraces thanks to permaculture, with the building’s curved, sinuous design acting to reduce turbulence and maximize comfort in these elevated gardens. 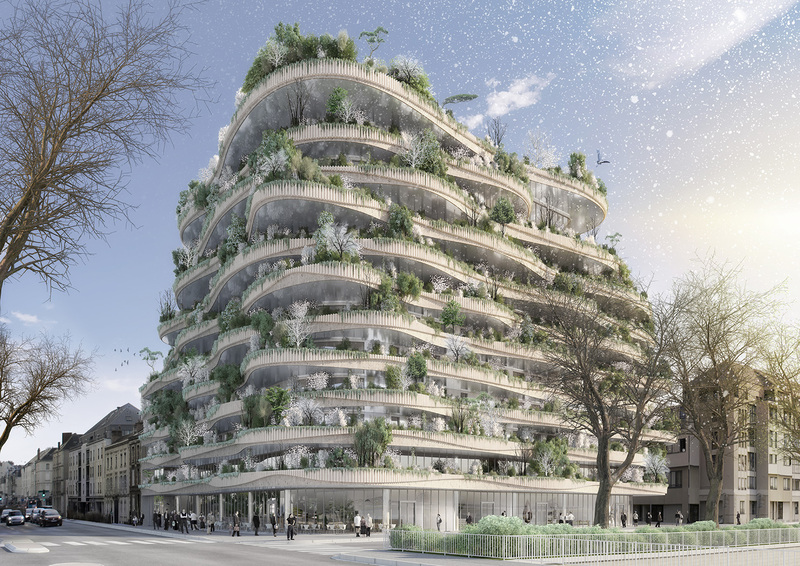 Arboricole aims to answer this vital question: “How can we adapt our European historic cities to climate change and the ensuing phenomena of strong floods, heavy rains, and current heat waves?” To help combat these events, the building is covered with plants from the Loire region that act as a “sponge.” The goal is for the building to limit its carbon footprint, collect rainwater and providing residents with the highest possible quality of life. White tuffeau stone covers the building’s wave-shaped facade. The architects drew inspiration from the agriculture of the Angevin groves, whose undulating plateaus create a visually engaging waterfall effect. 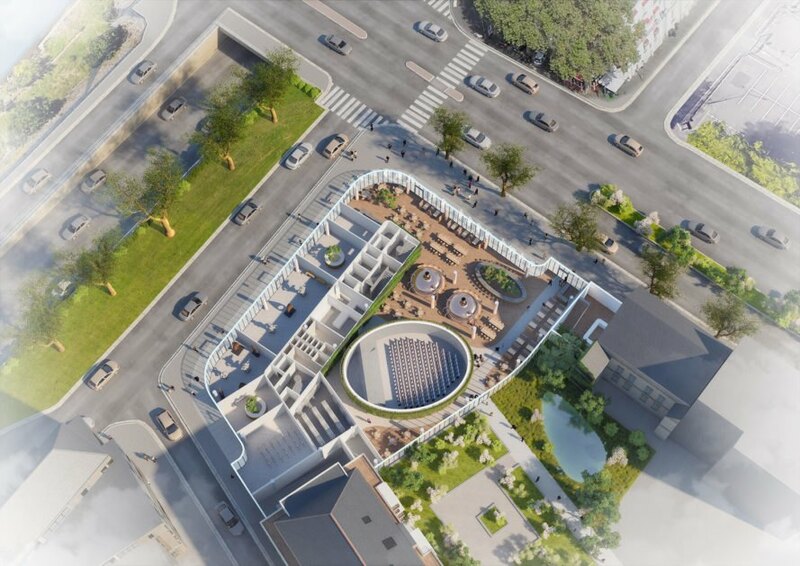 Designed for the intersection of Boulevard Ayrault and Quai Gambetta in Angers, France, the building gradually rises to 114 feet (35 meters) and maximizes the amount of sunshine each terrace receives during the day. 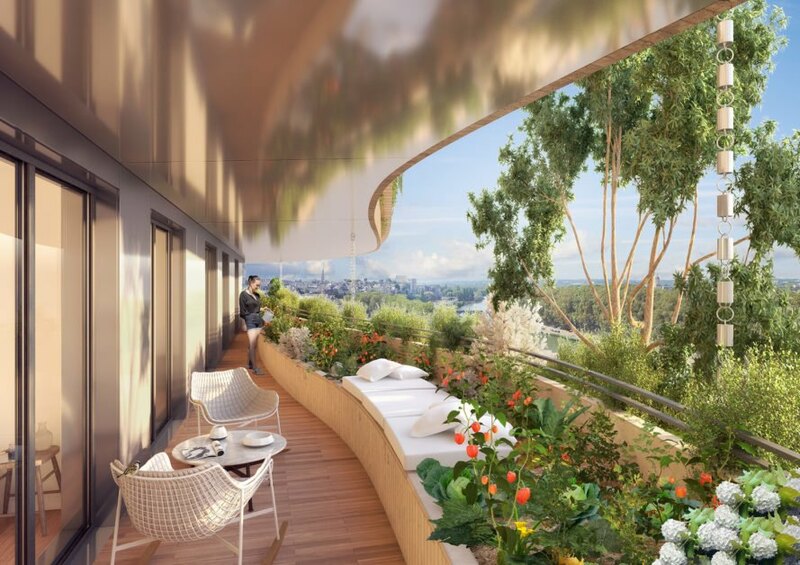 Micro-perforated satin aluminum plates serve as false acoustic ceilings for the balconies, absorbing the noise pollution from traffic and showcasing the plant life climbing Arboricole’s vertical grove. 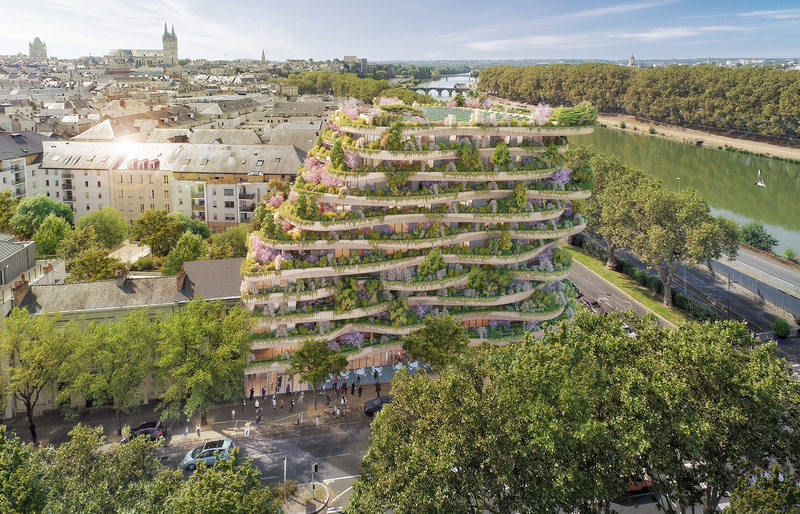 And, not to be outdone, the plants themselves — 20,000 perennials, shrubs and trees — could absorb up to 50 tons of CO2 in Angers’s atmosphere each year. 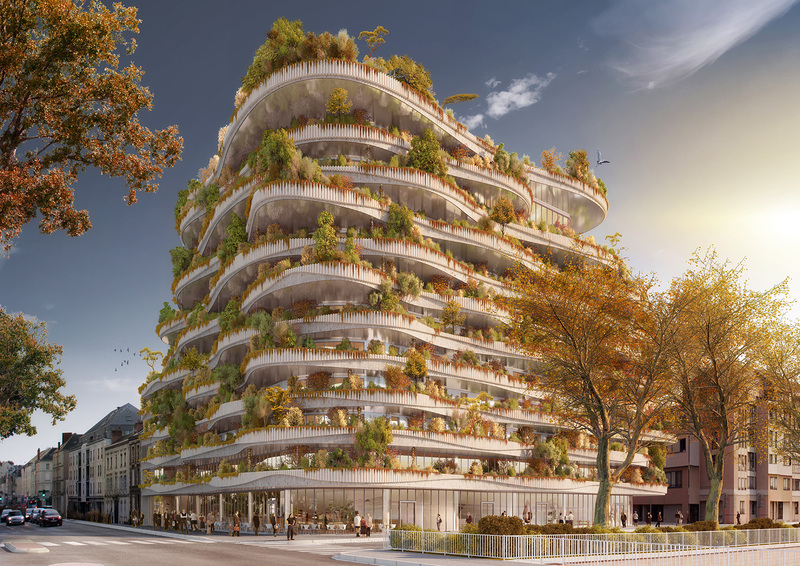 Vincent Callebaut Architectures, known for green projects that combine smart building with advanced renewable energy solutions, has officially unveiled Arboricole - a new “biophilic” structure that brings agriculture to the urban landscape. Residents of the building can grow food on their own terraces thanks to permaculture, with the building's curved, sinuous design acting to reduce turbulence and maximize comfort in these elevated gardens. 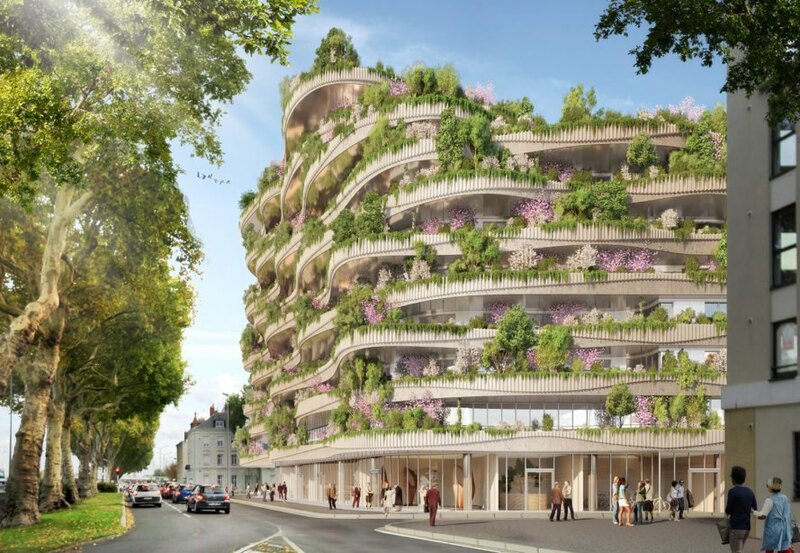 Arboricole aims to answer a vital question: how can we adapt our European historic cities to climate change and the ensuing phenomena of strong floods, heavy rains, and current heat waves? 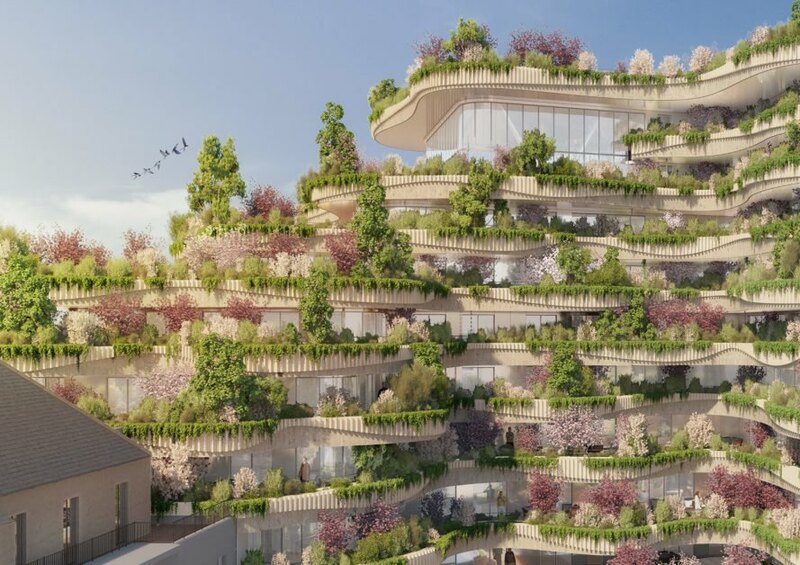 To help combat these events, the building is covered with endemic plants from the Loire region that act as a "sponge," limiting its carbon footprint, collecting rainwater, and optimizing the residents' quality of life. 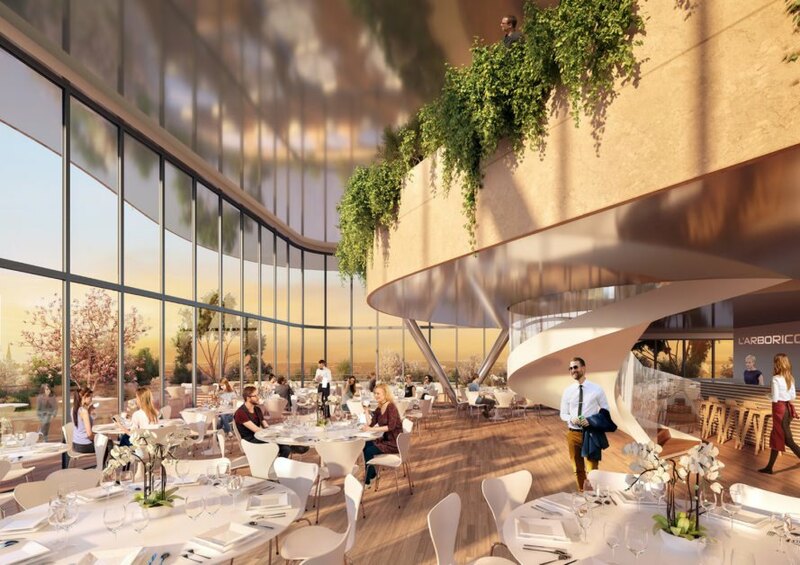 Located at the intersection of Boulevard Ayrault and Quai Gambetta in Angers, France, the building gradually rises to 114 feet (35 meters) and maximizes the amount of sunshine each terrace receives during the day. White tuffeau stone covers the building's wave-shaped facade. 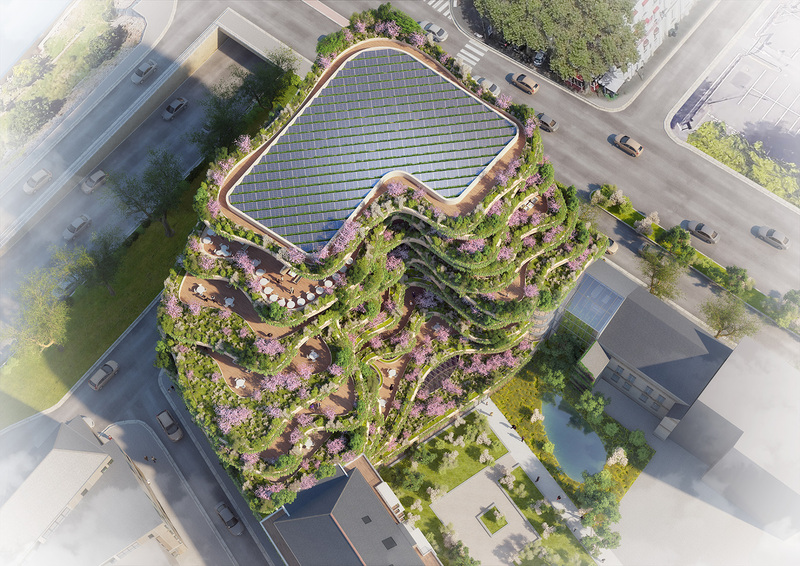 The architects drew inspiration from the agriculture of the Angevin groves, whose undulating plateaus create a visually engaging waterfall effect. 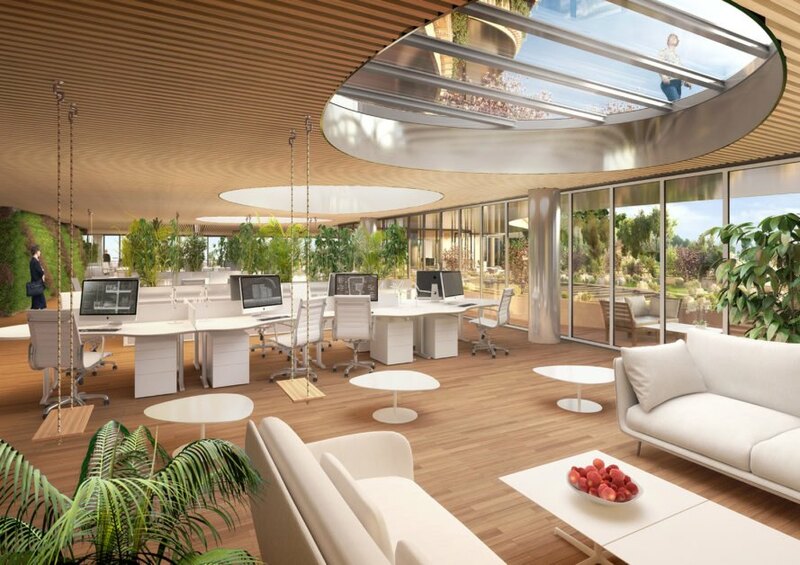 Micro-perforated satin aluminum plates serve as false acoustic ceilings for the balconies. 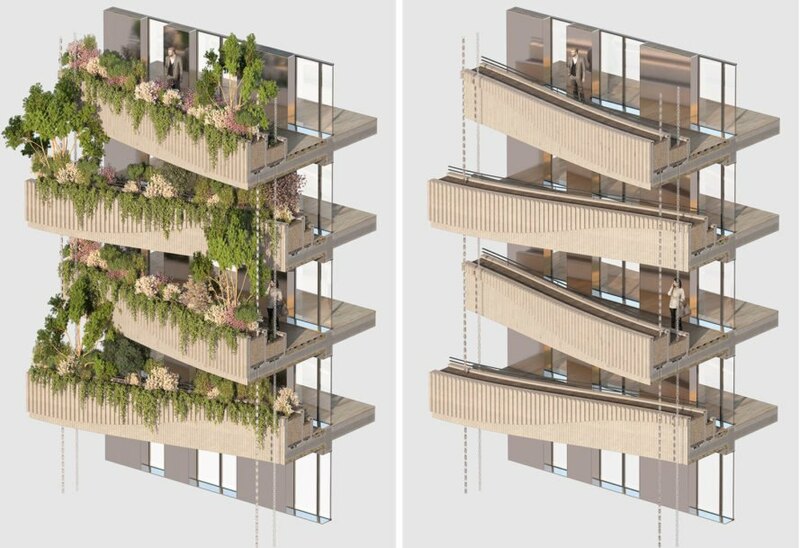 They absorb the noise pollution emitted by car traffic and showcasing the plant life climbing Arboricole's vertical grove. Not to be outdone, the plants themselves - 20,000 perennials, shrubs, and trees - could absorb up to 50 tons of CO2 in Angers's atmosphere each year.